On the 7 to 9 may 2004, we have the chance to receive the visit of shogi professionnals in Paris. 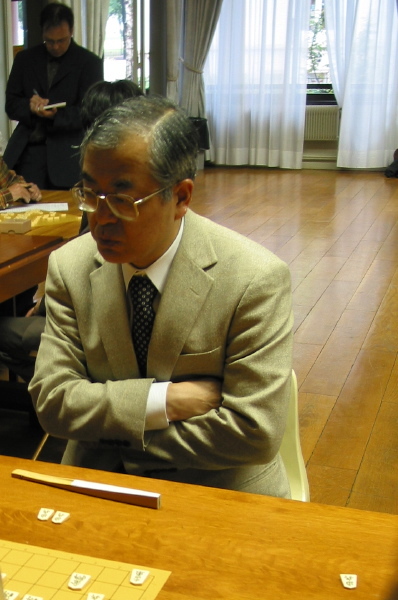 No less than 3 shogi pros come from Japan to meet us, including the actual chairman of the Japanese Shogi Association Makoto Nakahara, Eisei 10 Dan. 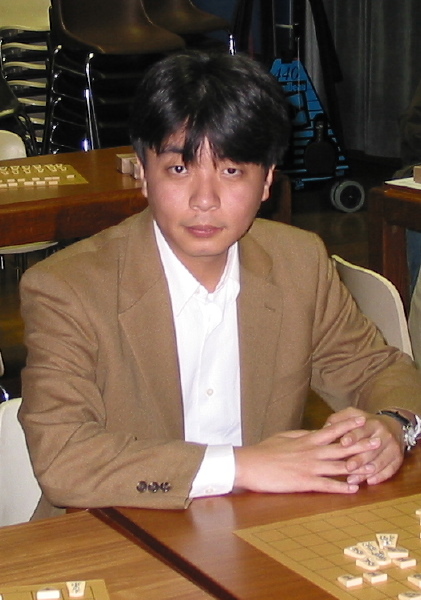 Makoto Nakahara is the living shogi pro with the highest number of titles. 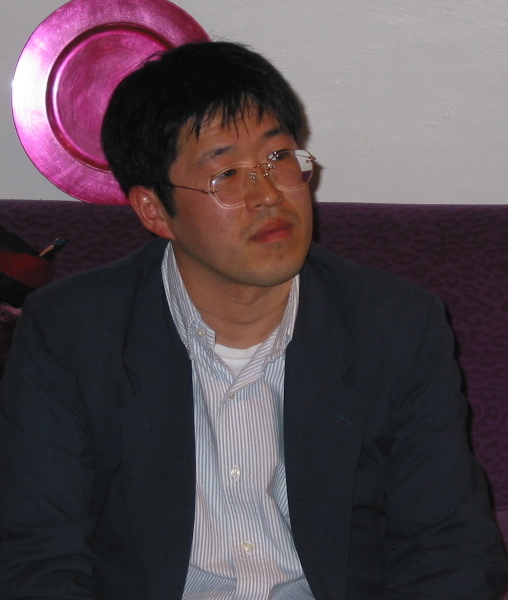 Just give a look at his shogi profile in Japanese or in English to get an idea of his great shogi career. Shuji Sato, 6 Dan (profile in Japanese and in English) and Masakazu Kondo, 5 Dan (profile in Japanese and in English) travel in Paris and in Munich to share their shogi experience and to give us some shogi lessons. No less than 3 simuls give us the possibility to play many games. The professionals play against not always well prepared 17 Parisian shogi players but always highly motivated. Some attendants prefer not to play a single game and to look at the games. Makoto Nakahara plays as many as 16 games and won 12 of them (score 75%), the highest score during this weeb-end. 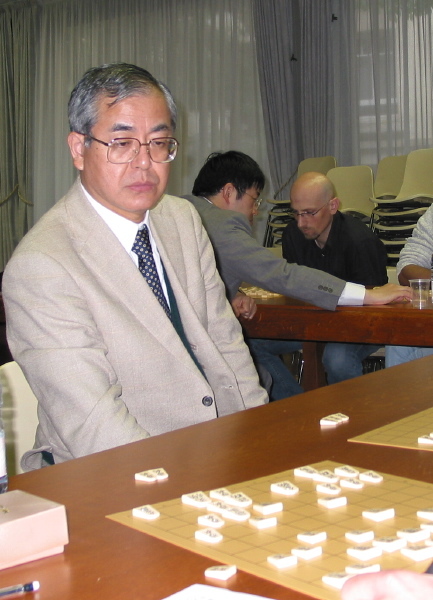 Next, Shuji Sato plays 17 games and won 12 of them (score 70%) and finally Masakazu Kondo plays 18 games with 12 wins and one jishogi (score 69%). A wide range of strength (from beginner to 4 Dan) among the amateurs gives us the possibility to apreciate the professional shogi skills in 6 piece to bishop handicap games. 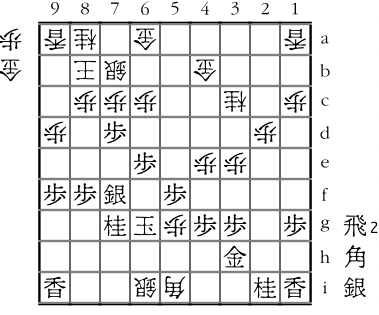 For the majority of amateurs, this is their first encounter with shogi professionals. 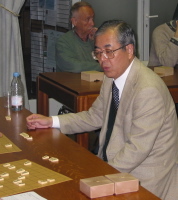 For the more experienced ones, it is another important step in our shogi life and an unique chance to play with Makoto Nakahara. Between the numerous games, we manage to take many photographs. 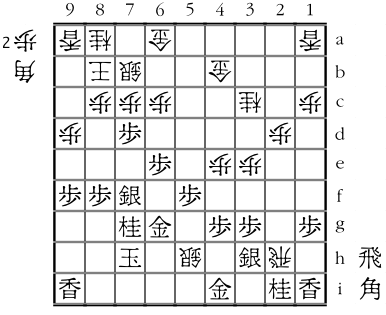 Here are some of them and others on Florian's shogi pages. After the simul games of the third day, we attend an exhibition game between Shuji Sato and Masakazu Kondo. 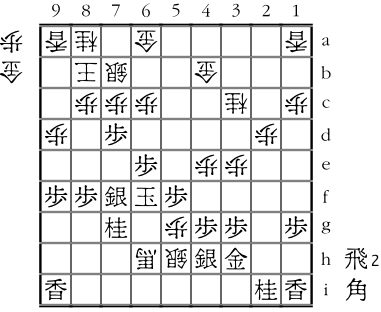 This game is commented by Makoto Nakahara himself like in Japanese shogi shows, or like on the Japanese television !! Here is the gamescore of this game. During the analysis, Masakazu Kondo tells us that this move takes part of his home preparation of the Kondo system. Masakazu Kondo has written some books about his system. Makoto Nakahara comments the game move by move with a mural magnetic shogiban and chooses this position to propose us a next move problem. Shuji Sato stands up to write his next move on a sheet of paper. The proposed candidate moves are Px7c+, Kx5g, B*5e and S*4h. Just take some time to think about your choice before reading the next paragraph. The Kx5g move, capturing the threatening pawn, is clearly bad because of the immediate Bx7g+. The B*5e drop aims at attacking and defending but fails to P5h+ and the threat B6h+ K6f +B5g leads to mate and seems to be decisive. The S*4h drop forks the pawn and the bishop but sente drops his only general in hand a bit far from the king and both S4h and G3h generals are out of the game. Surprisingly to me, we are only two in the attendance to choose the Px7c+ move. Speed is important here : if xS then P*7d S6b (xS P*7e and sente keeps the 5e square for a future king escape) B*5e provides many threats and protects the N7g for a possible capture of the 5g pawn by the king. Finally, the S4h is useless and sente has lost one important tempo. On this page, you can find some handicap games played during those 3 days. At this moment, only my 5 bishop handicap game are available. I will add other games as soon as I receive them. If you have entered your games, please, send them to me.